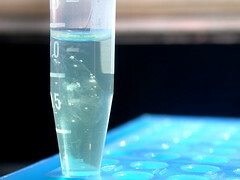 DNA extracted from Cliococca selaginoides accession 206, which I collected in Uruguay. The plant can be seen here and here. And here's some RNA, if you prefer that.